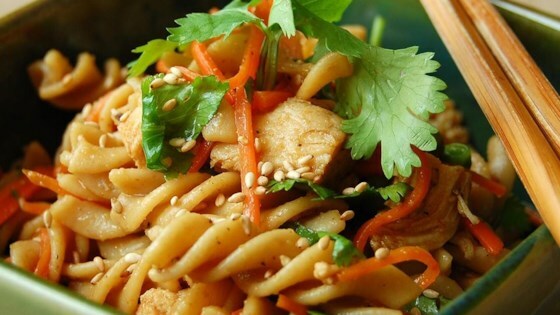 "A refreshing light pasta salad with a delicious Asian flair. Great for a summer cookout or picnic. Tastes great right away, and even better if you can allow it to marinate for a while." Delicious! Would even be good without the chicken for a vegetarian dish. I added grated carrots for color.